Dennis is a highly experienced financial advice professional, with an extensive and dynamic history in management roles in both private and public sector corporations within the areas of change management, leadership and management, strategy and innovation. I’ve had a long and distinguished career mainly in the private sector in senior management roles, including as General Manager. In addition, there has also been experience in the public sector, both as a consultant, and as a Chief Executve. My knowledge is from big global corporates to small local startups. My perspective on the business world has been wide-ranging and varied. I’ve witnessed the evolution of both major service and product-based businesses throughout my career. I’m also a dedicated father of five wonderful children, a grandfather, business mentor and friend. It’s safe to say I’ve dedicated my life to seeking out high performance targets. From my start in professional international Tennis, with a tennis scholarship to the USA, and All-American consideration combined with a guernsey in the Australian Junior Davis cup Team. Plus playing for Australia in 2014 at the World Seniors titles in Turkey, to my Ph.D at the University of Oklahoma, USA and post-doctoral work at Stanford University. I’ve been lucky enough to consult with some of the best business minds at Eastman Kodak, Pacific Dunlop, Repco, BHP, Telstra, Shell, BHP and Westfarmers. It’s these unique experiences throughout my life that have shaped the person I am today, and my ability to reach audiences as an insightful financial adviser to High Net worth Individuals, dynamic commentator and powerful keynote speaker. Dr. Maddern has had a distinguished academic career; his doctoral thesis on Organisational Change at the University of Oklahoma, USA, and post-doctoral work at Stanford University, led to a range of top management positions with leading international companies. Dr. Maddern has been responsible for turning many businesses around, e.g. improving sales and profit. Furthermore, he currently runs one of Melbourne's top Wealth Creation businesses and also specialises in advising High Net Worth Individuals. He has won many Financial awards, including 'Adviser of the Year' with the prestigious Association of Independently Owned Financial Professionals (AIOFP). Master of Arts (Organisational Improvement). Doctor of Philosphy (Business/Organisational Behaviour). Dennis has spoken on numerous radio talk shows over the years. Listen to his great insights here! 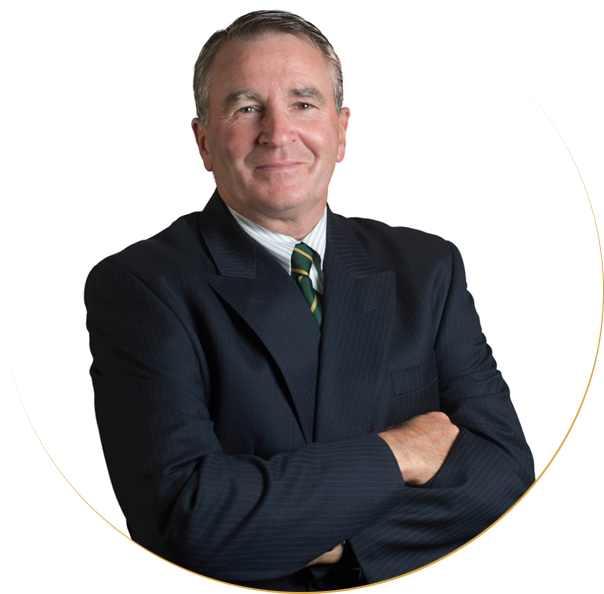 Dr. Maddern's knowledge, experience and insights as a successful businessman with some of the World's great firms such as Kodak, Pacific Dunlop, etc have made him highly sought after on the international corporate speaking circuit. He educates and inspires audiences with his views on change management, leadership, strategy and innovation. 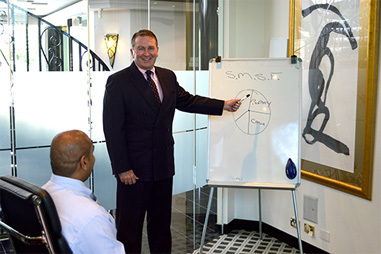 Through media commentary, keynote addresses, workshops and consultancies, Dennis' unique mixture of specialised business knowledge and experience helps organisations develop high performance cultures and gives individuals the tools to become true leaders. to speak at National & International conferences on topics of management and finance. as an exceptional keynote speaker for internal training for Executives. to provide change management consulting for business. for presentations and training to Financial Services Dealer Groups on matters relating to a 'Private Client' approach. Dr. Dennis J. Maddern has successfully assited individuals and companies create wealth for more than 30 years. This presentation helps audiences understand how they can take practical and immediate steps towards a more prosperous future. Self-Managed Super Funds are the fastest growing segment of the Australian superannuation market. An accredited specialist SMSF adviser (SSA), Dr. Dennis J. Maddern can deliver expert presentations on topics ranging from whether an SMSF is right for you, to professional investment strategy insights and keeping up to date with regulatory change. Keep up to date on the latest investment trends. Dr. Dennis J. Maddern's regular presentations bring investors up to date with the issues of the day. These include: property vs shares, retirement planning and beyond, tax effective investment, and year end tax savings. Understand the critical difference between Change and Transition. Manage Change without it managing you. Change can bring resistance, anxiety, and most destructively, confusion to any organisation. In this presentation or workshop session, Dr. Dennis J. Maddern shares his insights and experiences to replace confusion with clarity. He outlines the critical differences between Change and Transition, and the management of each. Understand who "wins", who "loses", and how to tap into the creativity of the "neutral zone". The seven major steps to successful change that great companies follow – and how to avoid the five "death traps". 80% of all Change efforts fail. In this presentation, Dr. Dennis J. Maddern reveals the secrets of the 20% that succeed. He takes you through the seven major steps to successful Change that the world’s great companies have followed. He also outlines five "death traps" that must be avoided at all costs. Audiences and workshop groups come away from this session understanding why values are a vital ingredient in sustainable Change. Without a genuine business culture, those framed mission, vision, and value statements at reception and the boardroom may as well be portraits of Joseph Stalin! Dr. Dennis J.Maddern presents a challenging session on the importance of genuine and sustainable alignment between mission, vision, and value statements and everyday organisational practices. This is a presentation of fundamental importance for modern business. Dr. Maddern uses a wealth of anecdotal and research material to demonstrate why congruent behaviour is the key to success. The global focus on corporate governance, ethics, responsibility and life balance – they’ll save your business, save your skin and even save your life! The global move to restore integrity to the boardroom senior management ranks is now firmly in place. Australia has followed the world-wide trend to establish a system of corporate governance. Dr. Dennis J. Maddern shares his experience as a CEO, researcher and leadership strategist to explore modern business imperatives – integrity, responsibility, accountability, ethics, and loyalty. This is a session of vital importance to all business leaders and senior managers. Dr. Maddern discusses competition versus collegiability, work/life balance, the role of ego, status… and "living" the rest of your life. The five key areas for developing leadership skills inextricably connected with driving successful Change. Leadership is one of the most talked about topics in the history of literature, yet for many, true and lasting leadership remains elusive. Dennis uses his wealth of academic research and leadership experience with leading companies, to explain the five key areas of developing leadership skills. In a challenging and provocative presentation, he explores the connection between leadership and success in driving Change. Leadership and the Human Capital "Fit"
One size or model of leadership does not fit all organisations. Dennis offers simple rules and techniques to ensure the right leadership "fit" for your organisation’s special needs. The complexity and diversity of modern organisations means that no one type of leadership will fit perfectly. There is no "Super Hero" model, yet there are a few simple rules and techniques that can assist senior management in developing the right leadership "fit" for their organisation. Dennis' exhaustive research into the nature of leadership, guarantees a powerful, challenging and unforgettable presentation or workshop.